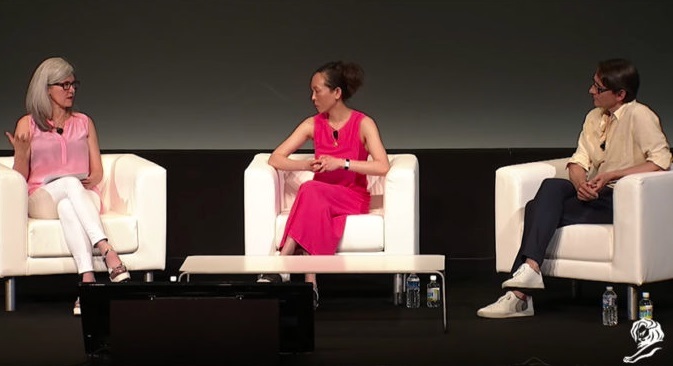 At Cannes Lions 2018, Adobe hosted a panel with Jamie Myrold (Adobe VP of design), Mario Klingemann (artist and “Neurographer”), and Natasha Jen (partner at Pentagram) who discussed an important question to the festival’s audience: How are creative people in the advertising industry going to interact with AI in their work? The potential impact of artificial intelligence on creativity is a topic of much debate. And though much of the discussion has been focused on far out, sci-fi visions or fears of human obsolescence, AI is already driving huge breakthroughs today in productivity and efficiency. And some of greatest impacts are just around the corner in the areas of amplifying and accelerating human creativity. Join this lively discussion and demonstration among creative luminaries living on the cutting edge of creativity in the age of AI. And see practical examples of how AI and machine learning will accelerate and boost human creativity in inspiring and jaw dropping ways.